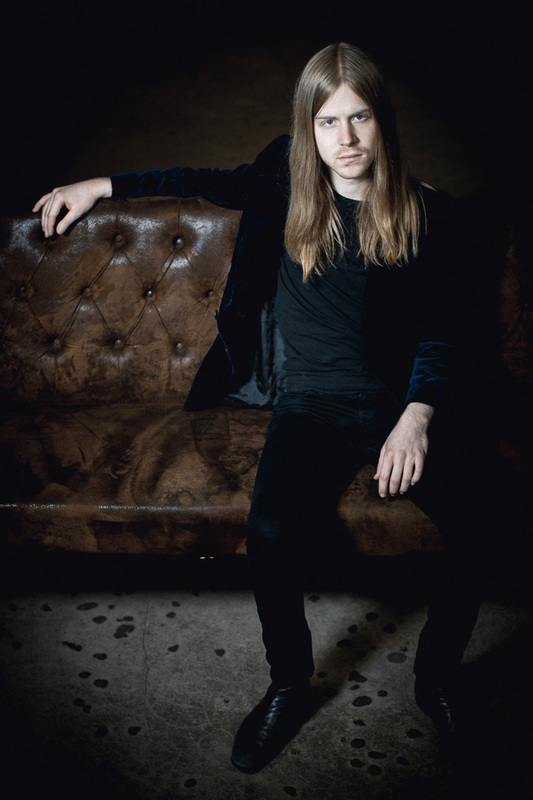 Antihero Magazine‘s Anya Svirskaya recently had the opportunity to chat with Blues Pills drummer André Kvarnström, about the band’s upcoming release, Lady In Gold. Lady In Gold will be released next month. Could you tell me a bit about the new record, recording experiences around it and how you approached it differently to the first LP? We started recording Lady In Gold in October 2014 and we decided to work with the producer Don Alsterberg, who produced and recorded the first album. The main difference with this album compared to the first one was that when we went into the studio we didn’t have so many song or riff ideas. And since we were out touring on the first album, we had to get right back in the studio when we weren’t out playing shows which made a big difference on how the process of the album was written and also recorded since we kind of had to them both at the same time. But we learned a lot working this way, and we are really proud of what we have created and we are excited to share this with the people. This album has a lot more soul influenced songs which we tried to blend in with the old elements of the first album. Did you record in analogue this time around? If so, why do you prefer recording this way? Yes, we did record analog this time, as well as the first album. I think that the analog way of recording fits very well with Blues Pills music. And it kind of goes hand in hand when it comes to working with Don Alsterberg, since his studio is completely analog. Normally, it’s Zack and Elin who come up with the song ideas, or a guitar riff along with the lyrics for the songs. But for this album, since we had to write the songs at the same time as recording, we all kind of sat down to help contribute together with our producer, Don Alsterberg. What is your favorite song on the new record? It is always hard to pick just one song off the new album, but I like the groove of “You Gotta Try,” as well as the darker song, “Gone So Long.” It will be very interesting to see what the people will think. For the rest of this year, we are focusing a bit more on Europe since we are currently in the middle of the festival seasons and after this we will go out in October with our friends in Kadavar. But we will have to wait and see what 2017 might bring! Do you all reside in Sweden now? We all live in Sweden at the moment in a town called Örebro. It’s just easier when it comes down to practicing and recording. But of course when there is time for breaks in between the tours some of us travel back home to see family and friends. Listening to your music, I feel thrown back to the golden era of the 60s and 70s, especially with Elin’s voice, which in my opinion shares some similarities with Janis Joplin. Where does your passion for the 70s come from? Was it because of a specific interest or was it a natural thing to adopt that style? I think that some of us got introduced to the 60/70’s style of music through our parents. But a lot of music comes from sharing it with your friends and also just relating to that way of writing and playing songs together as a band. So I would say it’s more of a natural thing actually. And of course, Elin’s great voice blends in perfectly with the music of Blues Pills. There seems to be an overwhelming amount of bands doing very well that have a very “retro” vibe (Ghost and Electric Wizard for example). What do you think it is about that particular time period that musicians seem to be so obsessed with? Was it difficult to maintain such a classic sound with all of the recording technology that’s so easily accessible nowadays? There are a lot of great bands out there today, old and new. I can’t really say why there are so many bands playing this style of music. For myself, it’s not about finding the right time to play the “right kind of music.” In that way, it wouldn’t really feel real and honest to just try to adjust the music for a specific time period. But I think it’s great that this kind of music seems to be appreciated by a lot of people. We have been using analog gear on the past two albums, but I think that blending in the modern technology when it comes to making demos or just trying things out is a good thing. And just because we recorded analog for this record, we aren’t against the possibility of using digital audio workstations in the future… the distant future in a galaxy far far away. I am really into bands like The Allman Brothers Band, Baby Huey & The Baby Sitters, Charles Bradley, and more acts from Daptone Records. In your time as musicians, what is your biggest musical achievement so far? Since this is my first complete studio album with Blues Pills and the first recording sessions of an album where I’ve been involved from the first take to the last, this is one of the biggest achievement so far. Of course, touring and playing shows, we are all very grateful to be able to do what we are doing right now. Any parting words to your fans? Thanks to everyone that comes out to our shows, listens and buys our music, and just simply supports Blues Pills. Thank you very much!